This year’s Juno Awards of 2015, held at the FirstOntario Centre in March were a smashing success, due in part to the high-quality audio technology provided by Sennheiser. The Juno Awards were broadcast live on CTV Television Network and hosted by Jacob Hoggard, lead singer of pop-rock group Hedley. The broadcast reached 1.6 million viewers in Canada and presented a staggering array of talent, featuring live performances and awards in a broad range of genres. Sennheiser was well represented both onstage and off, with Hoggard relying on a Sennheiser SKM 2000 handheld transmitter and MMD 935 capsule for the duration of the ceremony—including for his live vocal performances with Hedley. Other Sennheiser users that were recognized during the evening included The Weeknd, which picked up "Artist of the Year" and "R&B/Soul Recording of the Year. “Singer Abel Tesfaye treated the live and broadcast audiences with a rousing rendition of hit Earned It from the blockbuster movie Fifty Shades of Grey, captured in immaculate detail through his customized, grey camouflage Sennheiser SKM 5200 which was coupled with an MD 5235 capsule. In addition to relying on Sennheiser MD 431-II mics, FOH engineer and tour manager, Dave Gardner used a Sennheiser 300 IEM G3 system for wireless monitoring and an assortment of Sennheiser and Neumann microphones for drums and backline; including Sennheiser MK 4 large-diaphragm microphones. 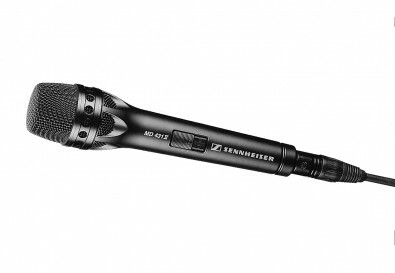 The Sennheiser MD 431-II is used by a wide variety of artists to capture their unique live vocal sound. Mark Vreeken, main mix engineer of the Juno Awards of 2015, said the key to delivering a great show is ensuring first-rate audio quality and dependability. “There are many variables in a live TV show, and Sennheiser microphones and wireless systems help bring predictability,” he says. “For example, a lot of bands like to change their approach to these kinds of award shows by adding different elements such as orchestras or choirs which makes it interesting.